The report titled “Indonesia Facility Management Market Outlook to 2023 - By Single, Bundled and Integrated Services; By Soft Services (Housekeeping, Security, Landscaping and others ) and Hard Services (Electromechanical services, Operations and Maintenance Services, Fire Safety and Security Systems), By End User Sectors (Industrial, Commercial, Residential, Infrastructure and others)” covers introduction on Indonesia Facility Management market, business acquisition process, vendor selection process, trends and developments, issues and challenges, SWOT analysis, competitive landscape and government regulations. The report concludes with market projection and analyst recommendations highlighting the major opportunities and cautions. Indonesia Facility Management market is at the growing stage. Indonesia Facility Management market in terms of revenue has increased at a positive CAGR during the period 2012-2018(P). This growth was supported by the growth of multinational companies, especially in the construction industry, along with rising demand for industrial and residential spaces in the country, wherein market players catered to the needs of the clients for both hard and soft services. The customers in the market are highly price sensitive and lack awareness about the importance of facility management services has resulted in low penetration. The Integrated Facility management market is relatively at a nascent stage in the country and its penetration is low due to preference for single and bundled services by most end users, especially local companies. Facility management services are used by both local companies and MNCs in the country. However, the local companies usually prefer Single or bundled services whereas the MNCs prefer integrated FM services in Indonesia. By Soft Services and Hard Services: Soft services dominated the market in terms of generating revenue in the year 2018(P). The development in sectors such as real estate, commercial and residential owing to One Million Homes program has amplified the demand for soft services in the country owing to rise in need for cleaning and security services. By Type of Services: Bundled services contributed a major share in terms of generating revenues for the industry in 2018(P). Bundled services are largely demanded by retail and commercial private sectors. Single services contributed second highest revenue share; whereas integrated facility management services accounted a mere share in the overall facility management market revenues in 2018(P). By End User Sectors: Industrial sector contributed the highest revenue share in the overall facility management industry in Indonesia in the year 2018(P). This was followed by the mere revenue share contribution from residential sector, commercial sector and infrastructure. Infrastructure sector was largely driven by aviation expansion program in Indonesia it includes Ministry of Transportation plan to build 57 new airports by 2019. By Soft Services (Housekeeping, Security, Landscaping and others): Housekeeping (including cleaning services) was the largest contributor to the soft services industry in 2018 followed by Landscaping, Security Services and other soft services including waste management, mail delivery services and other services. Growth in the residential, construction and tourism industry has surged the demand for cleaning services in the country. By Hard Services (Electromechanical services, Operations and Maintenance Services, Fire Safety and Security Systems): Electromechanical services (including HVAC) have dominated the hard services market in Indonesia followed by operational and maintenance services and fire safety and security systems during 2018(P) in terms of revenue. Electromechanical services had the highest share mainly due to the conditions in the country itself. Moreover, Entities have to incur expenditure on building temperature control, air conditioning, electricity and others. Indonesia Facility Management market is highly concentrated. ISS Facility Services Inc. is the market leader and has the highest market share in the Facility Management market in Indonesia on the basis of revenue in 2017. This was followed by JLL Inc., Shield on Services (SOS), Atalian Global Services, Spektra Solusindo and others. These market players compete in the FM market in Indonesia on the basis of Price of services, quality and knowledge of services, track record and past history within the industry and sectors serviced. In future, it is anticipated that Indonesia facility management market in terms of revenue will increase at a positive CAGR during the period 2018(P) – 2023. 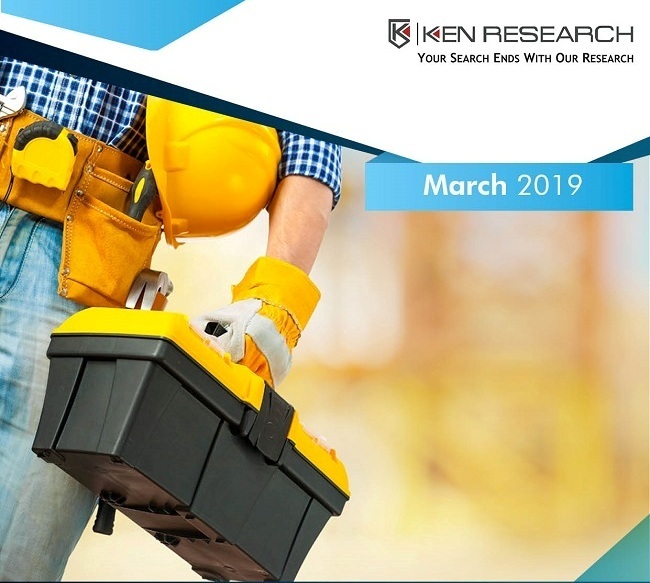 In Indonesia, it is expected that the demand for both soft and hard services will be further augmented largely due to increasing growth in the constructional activities. Moreover, increasing demand from multinational clients is likely to drive future demand for IFM services in Indonesia with commercial office buildings and industrial plants being the future penetration sectors for IFM services. The growth in industrial, residential, commercial and infrastructure sectors in the country will further increase the demand of FM services by these industries. Indonesia’s public sector is the most important pillar of its fast-growing construction industry, and it has benefitted significantly from President Widodo’s infrastructure development agenda, which is part of the National Medium-Term Development Plan (RPJMN).